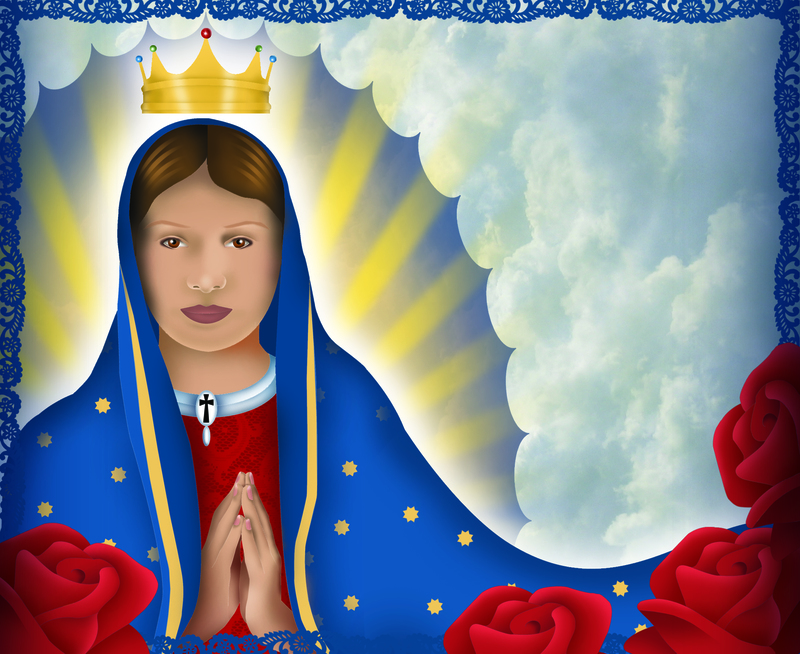 Here is a new illustration I’m doing of La Virgen de Guadalupe. Still not finished with it. She is usually drawn looking to the side. This time I made her looking forward. This will be part of a series of drawings I’m making of powerful women icons of Mexico. Next in the series is Sor Juana Inez de la Cruz.